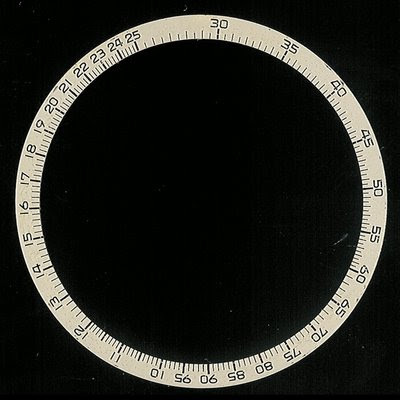 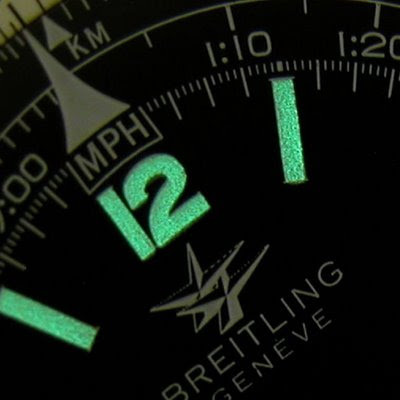 Here's some pictures to observe the change of your watch. 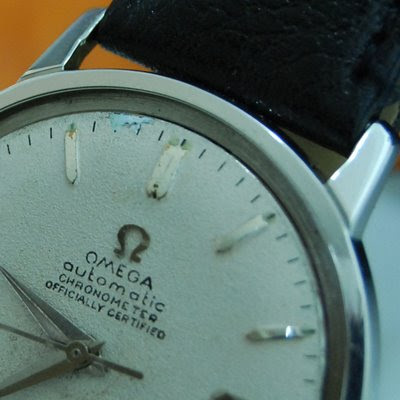 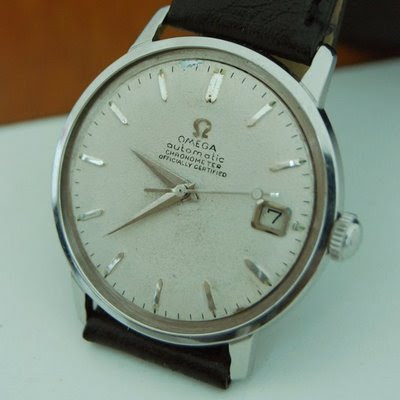 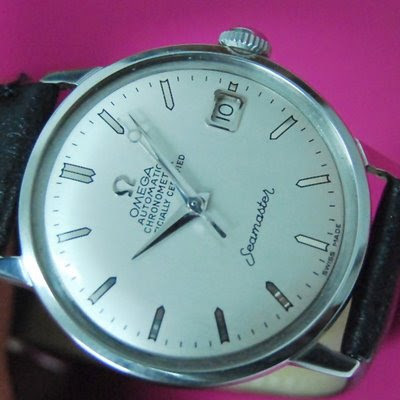 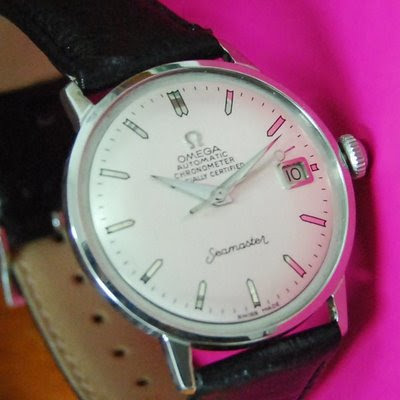 We hope that you enjoy with the arrival of your Omega watch repaired. 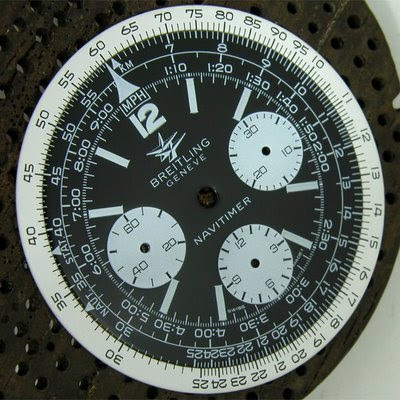 Breitling Navitimer watch dial restoration and white disc. 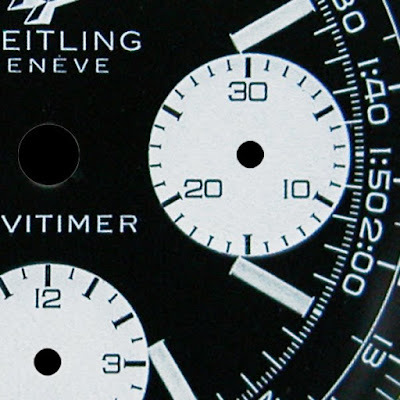 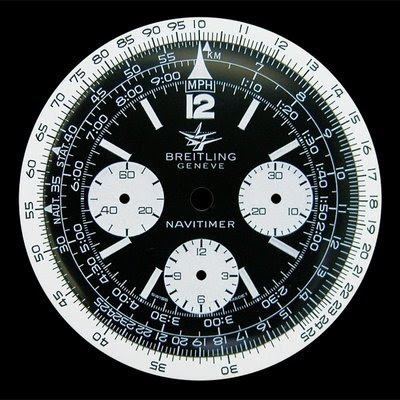 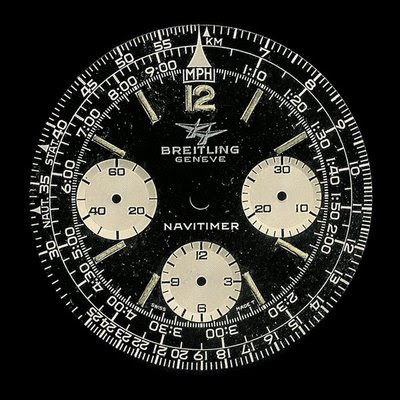 Restore the dial respecting the background black color, the original brand Breitling Navitimer as well as the "swiss made" mark on it.